Although many have heard of gluten-free dining, some may not entirely appreciate what gluten-free dining encompasses. For the uninitiated, a gluten-free diet is one that strictly excludes gluten i.e. a mixture of proteins present in wheat and related grains, such as barley, rye and oat. 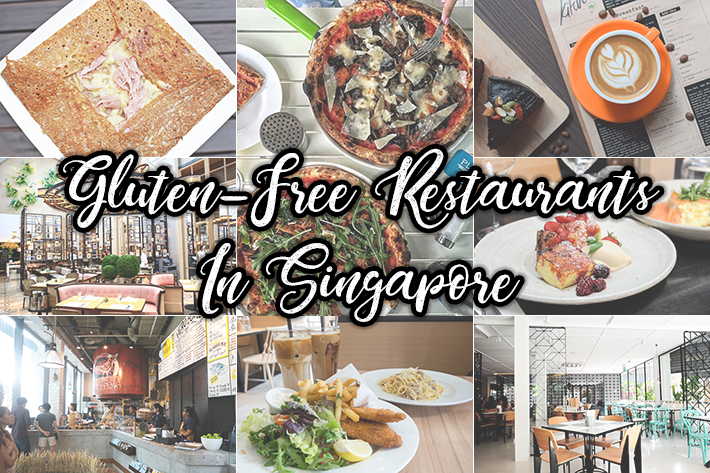 While Singapore is a food paradise, it may seem difficult to find places which offer gluten-free options especially when everything is so rich and sinful. Put aside your preconceived notions because there are dining establishments in Singapore which offer gluten-free options which do not scrimp on the quality or taste of their dishes. Here are 17 Gluten-Free Dining Habitats In Singapore. Trust us, this is one guide you will need to keep bookmarked in your browser. Holy smokes, is it already November? We, too, are flabbergasted by how quickly the year has gone by and for many, this would be the time when you would be using up that hard-earned leave to go for a quality trip overseas with your family or friends. But for those of us who do not have any travel plans, chin up because there are plenty of activities and events in Singapore this November 2017 which will definitely add some cheer into your life. From sporting events such as the ISU1 Endurance Race Singapore to One Direction’s Harry Styles’ concert, there are countless ways for you to embrace the end of 2017 with open arms. Here are 22 Events In Singapore In November 2017 To Celebrate Surviving 2017. Although it ain’t December yet, hang in there because your long year-end holiday is coming soon! October is approaching us slowly but surely, and soon before you know it, we would already be celebrating Christmas! 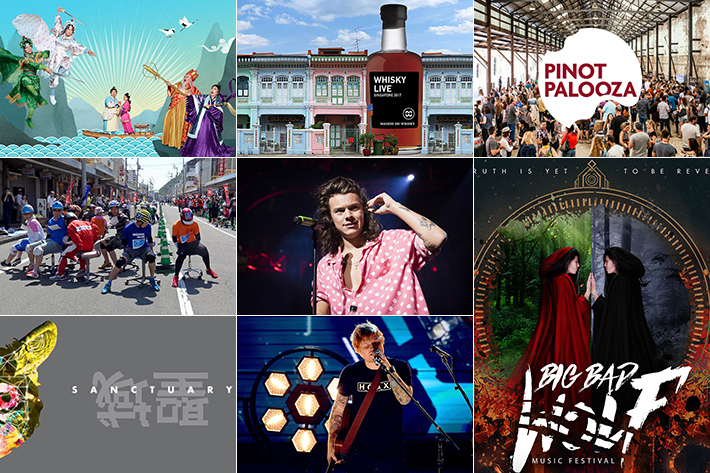 Although it may be a slow month for you at work, there is no need to fret as there are various events, concerts and sporting activities taking place in Singapore this October that you can fill up your calendar with. And October will be the month where we will be treated to concerts by the worldwide pop sensation Backstreet Boys and K-pop star Tae Yang, and with the arrival of the Mid-Autumn Festival, it is time to get fat and stuff yourself silly with plenty of mooncakes! If you are a little lost as to what we are talking about, or if you feel that your schedule for October looks a little empty, here are 24 Events In Singapore In October 2017 to check out with your squad. With the high price tag on most seafood dishes, it is not surprising that most would turn to satisfying their seafood cravings at buffets instead of regular seafood dining establishments. But the problem arises when we do not find ourselves craving the entire spread of seafood but just some freshly shucked oysters. Where then do we turn to for affordable oysters when the hunger arises? 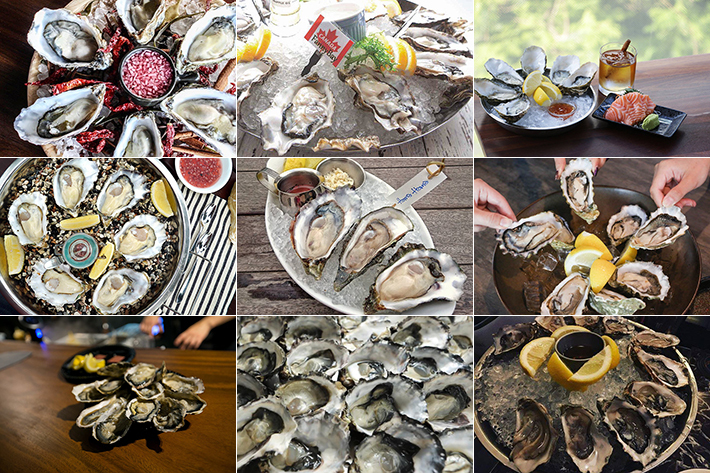 Here are 12 Places In Singapore For Oysters Under S$3++. It is time to take advantage of these amazing oyster happy hour deals in Singapore whilst saving your wallet some pain. There is just something so inviting about a hot bowl of rich and nourishing ramen and it is one of our go-to comfort foods whenever we need a perk me up especially on wet gloomy days in Singapore. But it is hard to find a sumptuous bowl of ramen that comes at a reasonable figure and this is why Ramen Hitoyoshi should be your next dining destination. Ramen Hitoyoshi is a 2-month old restaurant in Harbourfront Centre that all ramen lovers need to know. Brought to you by a partnership between local chefs Ray and Tan who have a breadth of experience in various dining establishments including Keisuke Ramen, Ramen Hitoyoshi’s menu features a selection of affordable yet tasty ramen options starting from S$10.90, and diners also have the opportunity to customise their own ramen.